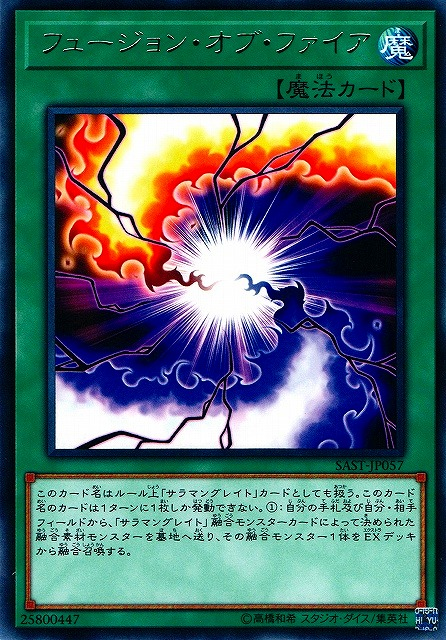 You can use only 1 effect among the (2)nd and (3)rd effects with this card’s name per turn, and only once that turn. 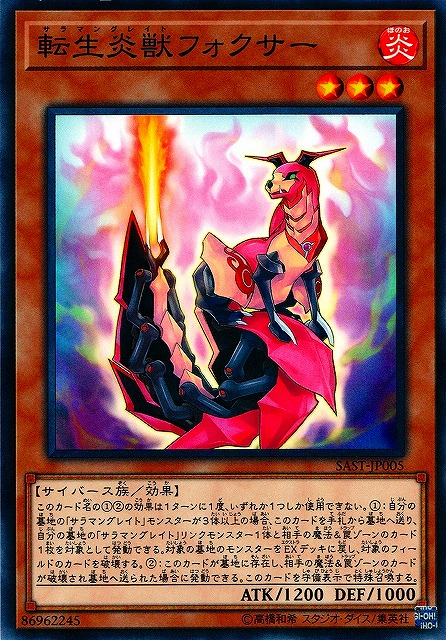 (1) During the turn a monster is Link Summoned using this card as material, that Summoned monster cannot be destroyed by battle or card effects. 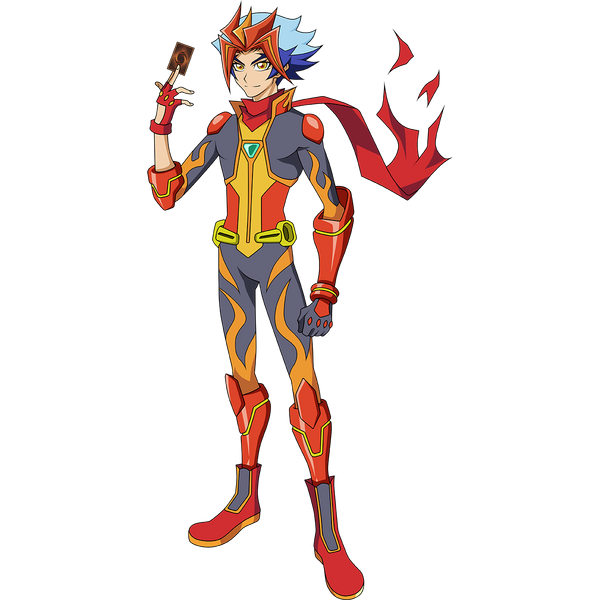 (2) If this card is Special Summoned from the GY: You can target 1 FIRE monster in your GY; add it to your hand. 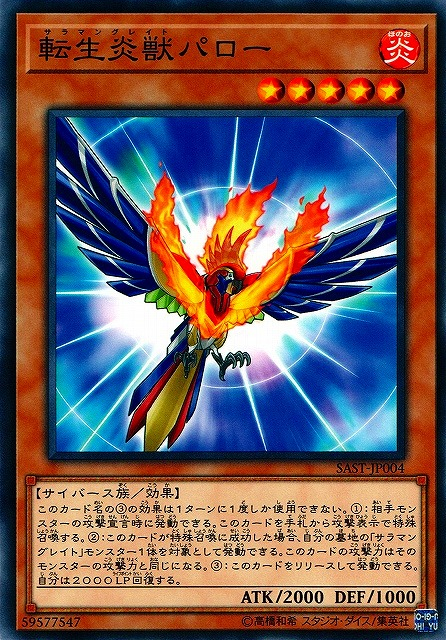 (3) If this card is added from your GY to your hand by a card effect: You can reveal it, then target 1 FIRE monster in your GY; add it to your hand. You can use the (3)rd effect with this card’s name only once per turn. (1) When an opponent’s monster declares an attack: You can Special Summon this card from your hand in Attack Position. (2) If this card is Special Summoned: You can target 1 “Salamangreat” monster in your GY; this card’s ATK becomes that monster’s ATK. (3) You can Tribute this card; gain 2000 LP. (1) If this card is Fusion Summoned: You can have this card gain ATK equal to half the total original ATK of its materials until the end of this turn. (2) Once per damage calculation, when this card is battling a monster whose ATK is different from its original ATK: You can double this card’s ATK during this damage calculation only. 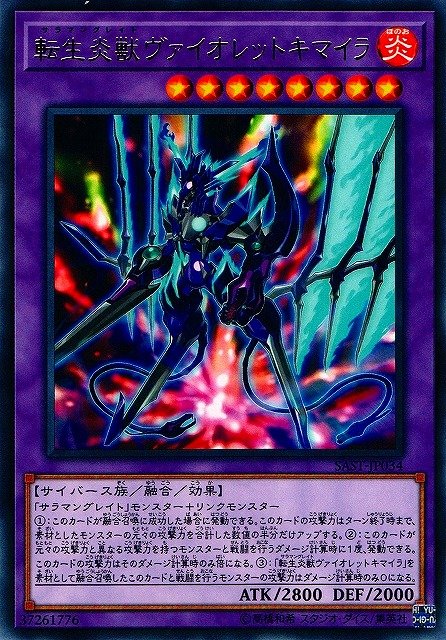 (3) If this card was Fusion Summoned using “Salamangreat Violet Chimera” as a material, the ATK of any monster it battles becomes 0 during damage calculation only. You can only use this card name’s (1) and (2) effects once per turn each. 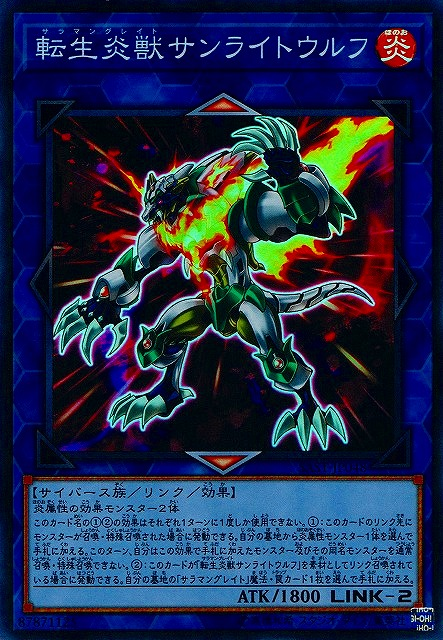 (1) If a monster is Normal/Special Summoned to a zone this card points to: You can add 1 FIRE monster from your GY to your hand, but you cannot Normal/Special Summon that monster or a monster with the same name for the rest of this turn. 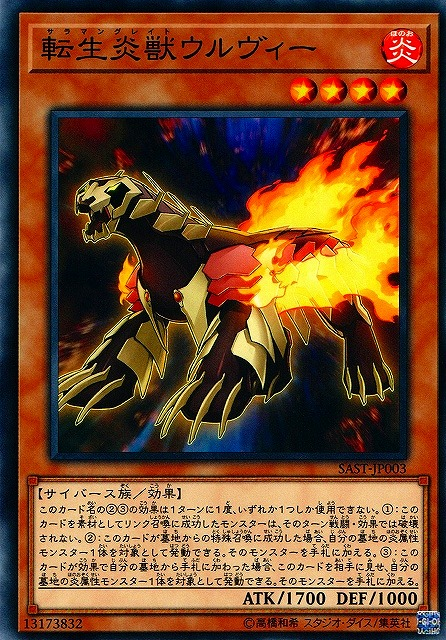 (2) If this card is Link Summoned by using “Salamangreat Sunlight Wolf” as Link Material: You can add 1 “Salamangreat” Spell/Trap Card from your GY to your hand.